Well spring has well and truly arrived and the hot trend for naked cakes with fresh flowers has bloomed! 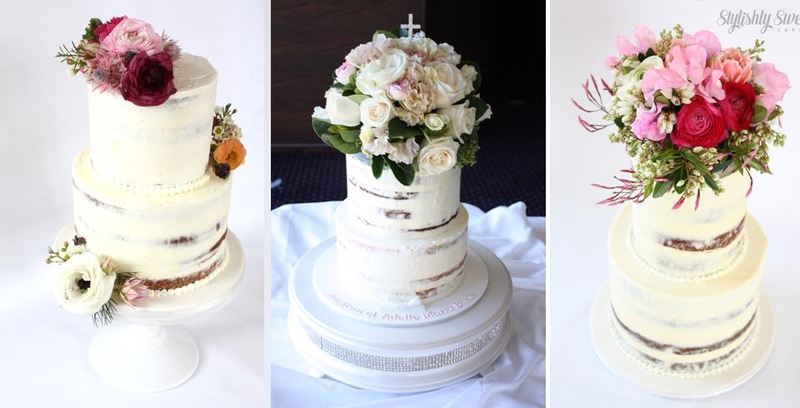 Perfect for any day time or garden event, teaming the vintage rustic look of a naked or semi naked cake together with fresh flowers is not doubt a perfect way to celebrate your wedding or party this spring. Still hot for Spring cakes are metallic highlights , hints of gold, silver, bronze combined with the vintage look rustic buttercream finishes is a great way to pull off that boho chic vintage look.